Today is all about a Focus on the Fun! As you know, I’ve been working on (very slowly!) 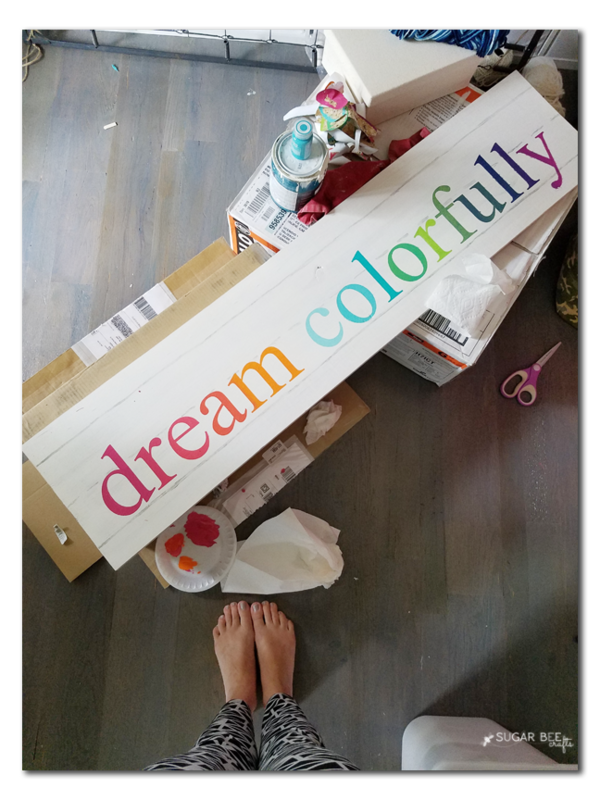 pulling my daughter’s room together and the latest addition is this Dream Colorfully sign – I’m kind of obsessed with it!! 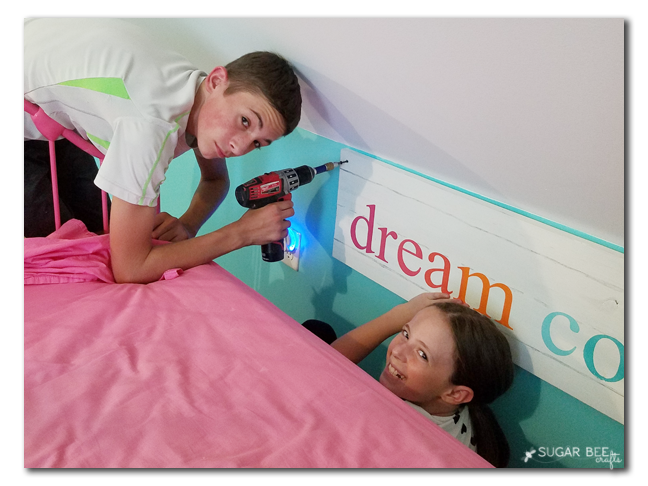 Today I want to touch on it and kid room philosophies as a whole – you can’t sweat the small stuff! Messes happen, (even gross ones! 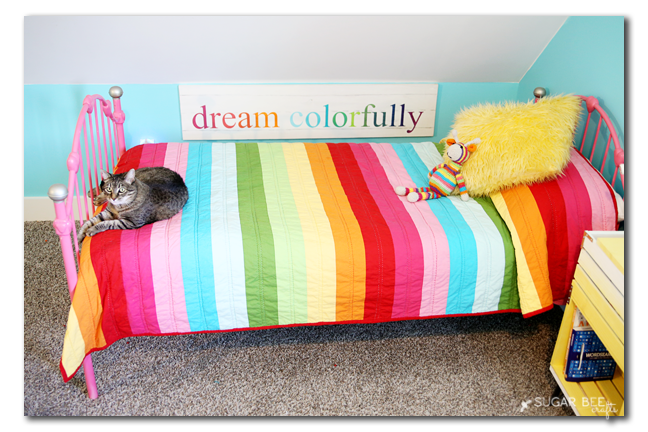 ), but having cute stuff around helps to give that focus on fun! 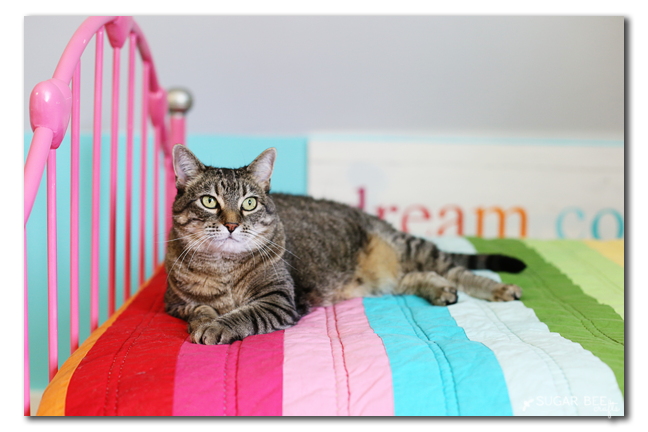 I love that she is feeling more comfortable in our new home – when we first moved, it was SUPER tramatic. Later I would debate if we just should have left her for the new home owners, it was that crazy! You might remember that we lived interm in my parents’ basement as we finished building our current home. She didn’t ever even venture upstairs, just was a recluse in the basement, very antisocial. But then we moved into our home, and she came back out of her shell. She enjoys socializing and being with us. 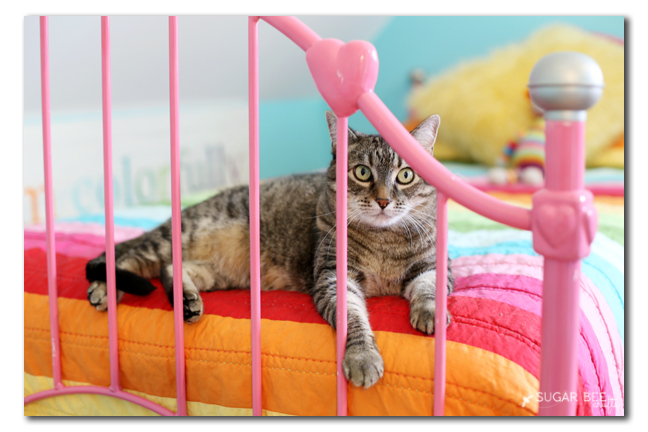 Her favorite rooms tend to change, but right now it’s my daughter’s room – our kitty loves it in there! 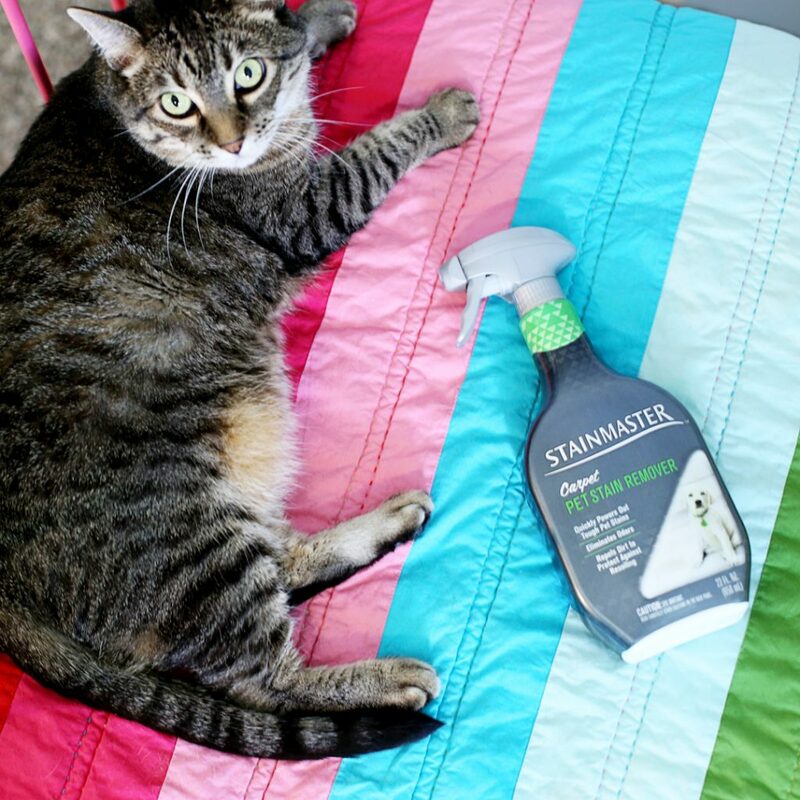 The new STAINMASTER Pet Stain Remover can removes tough stains and begins cleaning on contact (just what we need!). 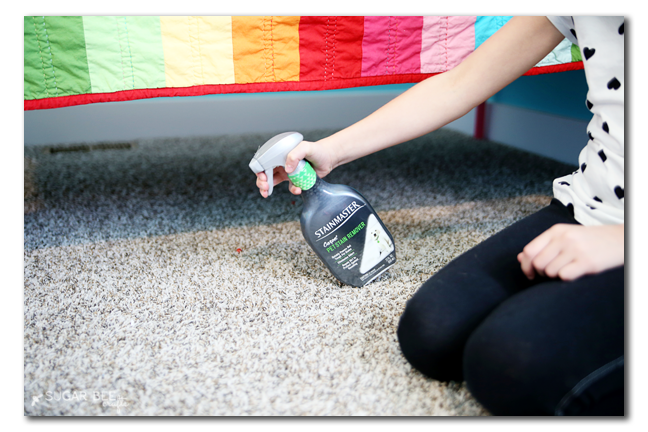 And there’s no sticky residue left behind, but it does leave behind an invisible shield to repel dirt to protect against resoiling (which is good in our case!). It also features ODOR REMOVETM Technology ! 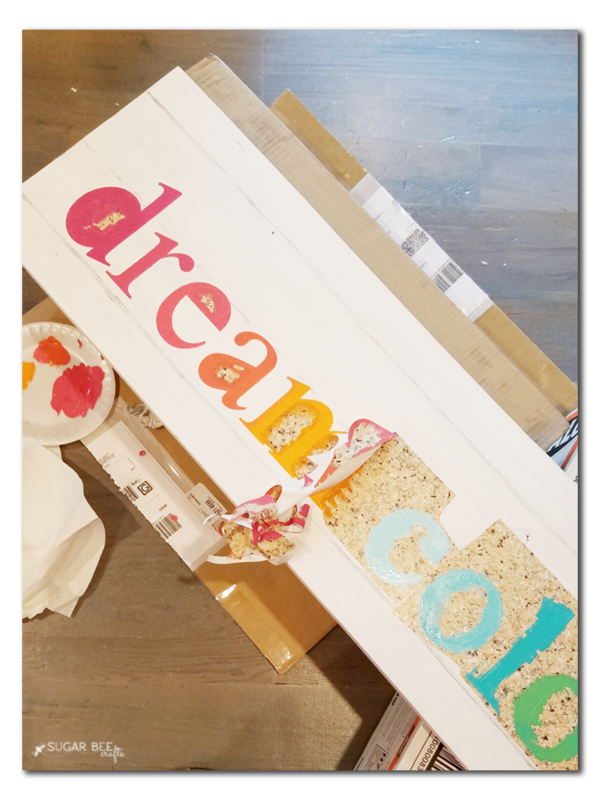 This sign is a knock-off of a knock-off 😉 I saw it over at Real Coake and fell in love! 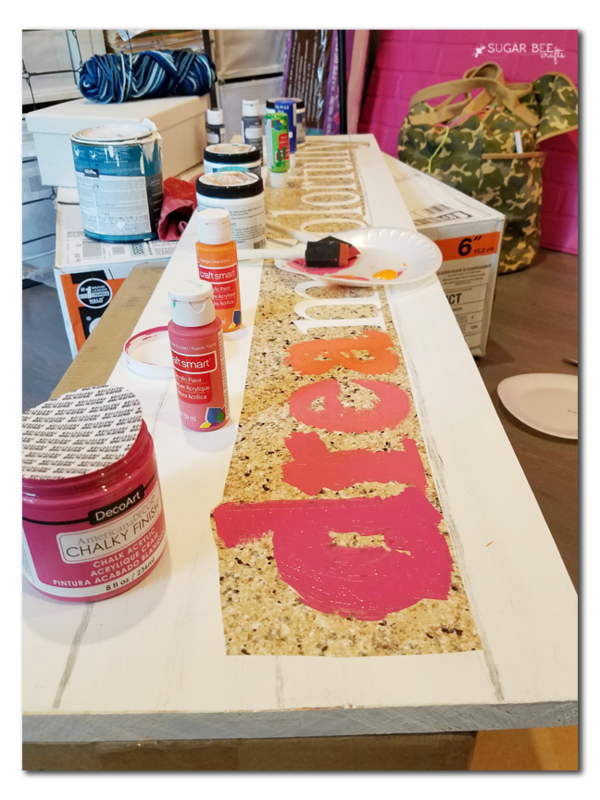 I knew I had to make one for myself! 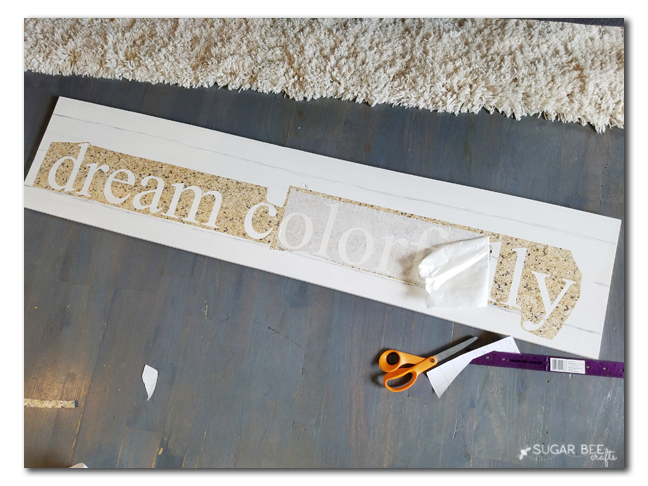 You can find the step-by-step tutorial details like fonts and paint colors and all that on her post. 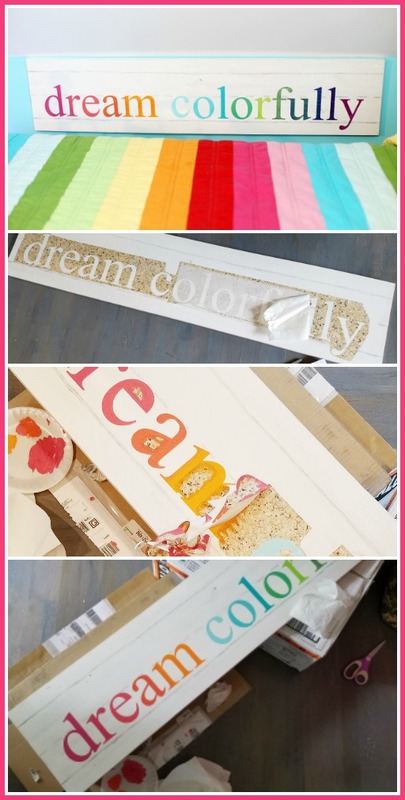 –Blend every-other color – I picked colors for every other letter, then mixed those colors for the colors in between. 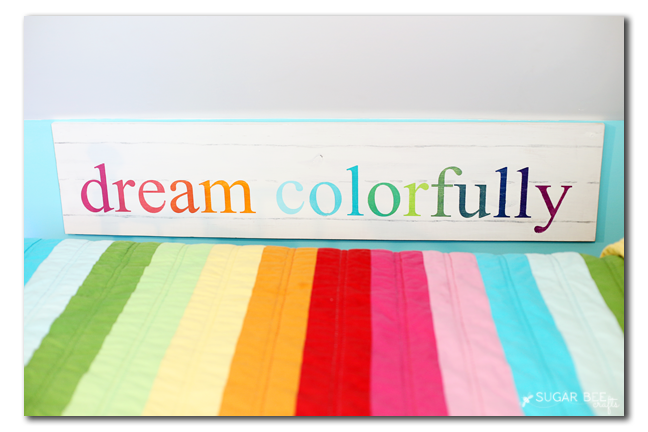 Dream Colorfully! I kind of want one for my room! !